Charles Leo is a Board Certified Workers Compensation Attorney in Orlando. Board Certified Lawyers are the ONLY lawyers allowed to advertise themselves as experts in Workers Compensation. Work Injuries often involve complex questions about Law and Medical opinions that require an EXPERT to properly handle. 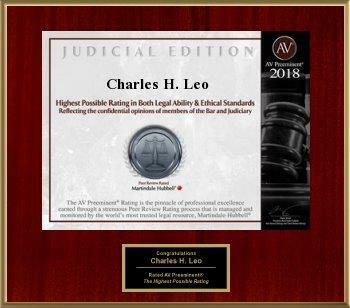 To become Board Certified, Charles Leo had to have 25 trials over his first 5 years of practice, remain a member in Good Standing with the Florida Bar and pass a very difficult specialized exam in Workers Compensation law. Charles Leo became Board Certified in 1998 and has been re-certified ever since. Charles Leo has handled thousands of Workers Compensation cases and has taken more than a 100 cases to trial. Unlike big TV advertisers, Charles Leo handles and oversees each and every case in his firm and is heavily involved in each case as it gets close to trial. If you have been injured while at work, The Law Offices of Charles H. Leo, P.A. in Orlando, FL can help. We are experienced in handling injury cases and can negotiate a fair and maximum settlement for you. While it may not have been by the intentional negligence of your employer which caused your accident, you still have the right to compensation. Located in Orlando, FL, our workers’ compensation legal team is familiar with the local requirements and can assist you in moving your case through the legal system. We are confident that, with our experience, we can get you the assistance and attention you deserve. For more information and a free consultation for your claim, please call us today at (407) 839-1160 or (866) 804-1160. We look forward to working with you. Florida Workers Compensation pays injured workers for medical treatment and lost wages, unfortunately, in most circumstances, the insurance company picks your first Doctor for you. The law allows the insurance company to control your doctors, and rest assured that the doctors are VERY pliable to the insurance companies’ instruction. If an injured worker waits too long to get help, often times the insurance company has already tricked an injured worker into giving up valuable rights. In addition to picking your doctor during your Workers Compensation case, the insurance company will do everything they can to ensure that they pay out the minimum dollar amount for your injuries and lost wages. In order to ensure that you receive the maximum amount of compensation related to your case, be sure to seek the counsel of an experienced Orlando Workers Compensation Attorney, such as Charles H. Leo. Protect yourself, call our office to see if we can help with your Orlando workers’ compensation case. BEWARE OF NURSE CASE MANAGERS! Even though the ethical code for nurses requires them to watch out for the patient’s best interest, when the WC insurance company is paying their bill, they almost ALL put the insurance company’s profits above the injured workers’ best interest. An injured worker can refuse to allow the Nurse Case Manager to attend their one-on-one time with doctors, and we strongly encourage injured workers to protect themselves from nurse caseworkers who push themselves into your treatment room. The Law Offices of Charles H. Leo has helped thousands of injured workers in Orlando and the surrounding areas since 1997. Allow us to help protect you from unscrupulous employers and their insurance companies. We also give free second opinions to injured workers who feel their representation is not satisfactory or lacking. It is estimated that over 80% of initial Social Security Disability claims are denied by the Social Security Administration, and after being denied once, the number for reconsiderations jumps up to nearly 90%. It is incredibly important to have the proper Social Security Disability Attorney in Orlando in your corner when you are going through this very difficult type of case. 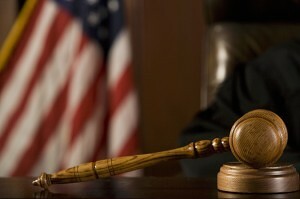 Make sure you do not attempt to challenge the SSA or your employer without the proper defense and legal counsel!! Do not let your case be settled quickly and cheaply! At the Law Offices of Charles Leo, we pride ourselves in making sure our clients try to get the maximum result for their Workers’ Compensation Orlando case. A client’s Work Injury can be life-altering, use an expert who will take the necessary time required to ensure you get the right result, and not just a quick result.